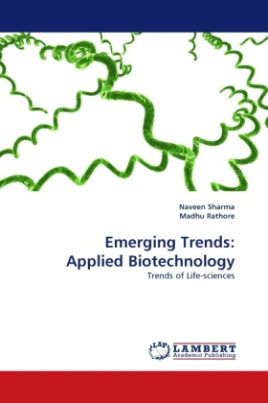 The book Emerging Trends: Applied Biotechnology. This book is designed to serve for Scientists, Research Scholars, Post graduate and Graduate students. Advance application of biotechnology involves the development of eco-friendly processes and product development. Development of probiotics, use of microbial enzymes and metabolites, Formulation development to control pests, bioinformatics approaches etc. are part of modern research. Book encompasses the detail review in context of aforementioned topics hence will be helpful to provide research platform for newly appointed researcher. Main purpose of this book is to define biotechnology as the backbone of various life sciences research. There is a brief details of application and trends of Bioinformatics.